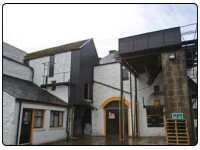 Springbank Scotch Whisky Distillery was built in 1828 and is located in Campbeltown. The distillery produces Springbank 10 Year Old Single Malt Whisky, Springbank 15 Year Old Single Malt Whisky and Springbank 21 Year Old Single Malt Whisky just to name three. The contact details for this distillery are Springbank Distillery, Campbeltown, Argyll, PA28 6EJ and the telephone number is +44 (0)1586 552085. If you would like to stay in local hotel or bed and breakfast please visit the Campbeltown accommodation section on this website.